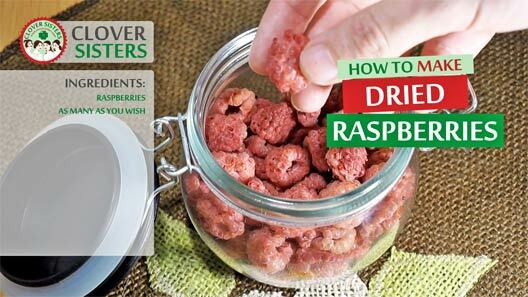 Dried raspberries are tasty snack, useful for numerous recipes, so making them now in the raspberries season will have multiple advantages. And it’s easy too. 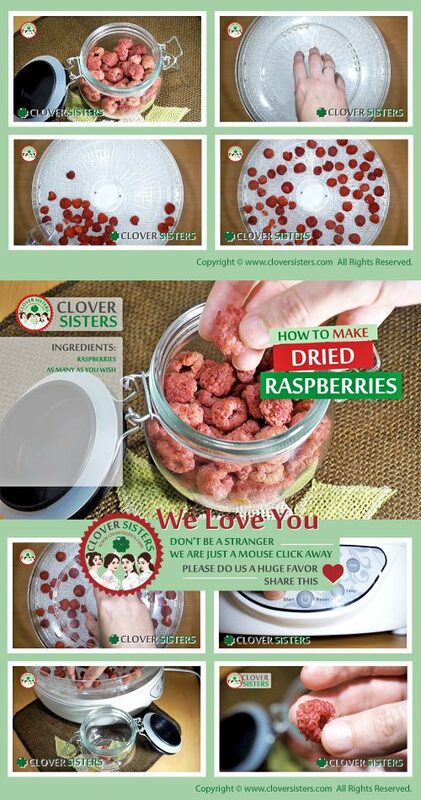 Arrange raspberries in a single layer on dehydrator tray. Dehydrate at 135F (60 C) for 10 – 12 h.